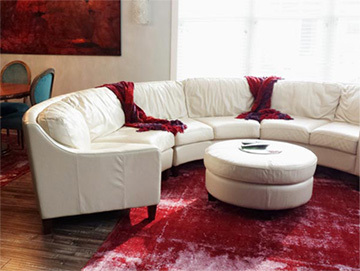 In recent years, a new trend emerged in the rug industry that has seen older rugs being given a make-over to complement the modern home. While the patterns and colors of traditional area rugs remain an exquisite insight into regional craftsmanship of Anatolia and Asia, many find that their time-honored styles do not fit into the interior designs of contemporary living. 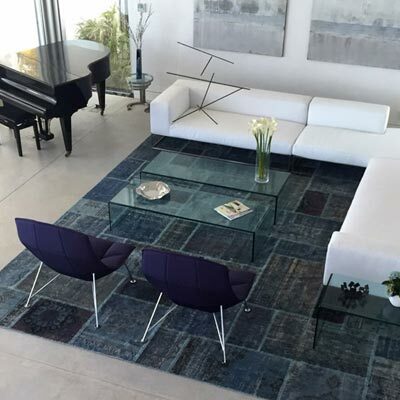 This is why overdyed rugs have become so popular – not only do they give a new lease of life to an aged carpet, but they add a vibrant splash of color into our lives, while still exuding the timeless class of an original handcrafted piece of art. Because they are beautiful, fashionable, sustainable, hand made and affordable! 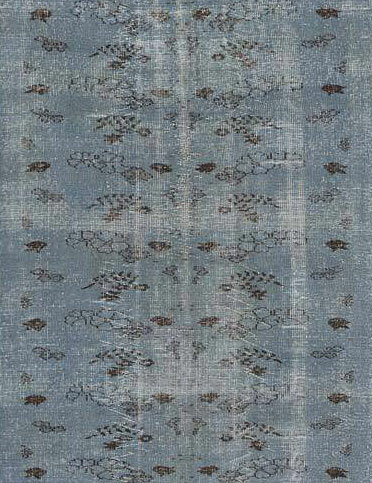 Although the method has grown popular around the world, this inspired device was first developed in Turkey, and it is from here that you find the best overdyed works, created using authentic hand knotted vintage and antique rugs. 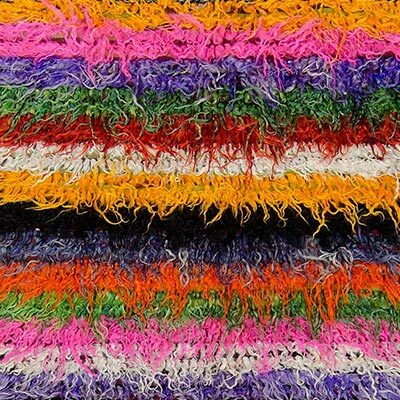 Perhaps it is because re-using and re-purposing is nothing new in Turkey, where household items are fixed up rather than thrown out, and over-dyeing is a continuation of this. With an overdyed rug, you are not only purchasing an on-trend item, but you’re also contributing to a sustainable practice. 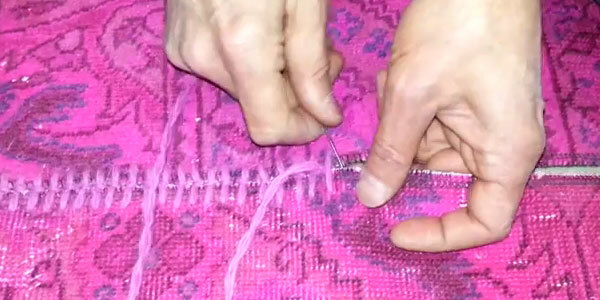 Over-dyeing is usually carried out on rugs that are faded, worn or just unloved. This recycling helps to preserve these traditional items for future generations, acknowledging the skill and care taken to create them in the first place. 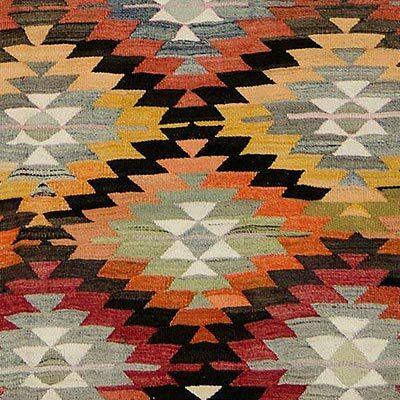 Not only that, but it is possible to pick up a quality handcrafted overdyed rug for a fraction of the price of other antique or vintage carpets and kilims – making it a much more affordable option. The over-dyeing process is carried out on rugs that are either vintage (which in rug terms means produced between the 1920s and 1970s) or antique (anything before then). Depending on the desired look, the aging process may be accelerated using a number of methods. Some rugs are first sheared, to even out the pile and to help to ‘distress’ them. They then undergo a series of processes to neutralize and remove the color. These include a mixture of chemical washes and natural sun bleaching. These processes don’t remove the pattern, but simply reduce it to an outline, creating a foundation ready to be re-imagined. The carpets are then dyed in one color, a stage that can be repeated several times to reach the desired saturation level and hue – and for a more distressed look, a paler color is the aim. The dye can also be targeted at the lighter background shades, to create a multi-tonal rug, or result in a block color throughout. The rugs are then laundered to set the color (which will last for many, many years), before being dried. Most overdyed rugs will display a number of different shades, which brings a certain vitality back to the rug, and is a result of the uneven surfaces, and original pattern. 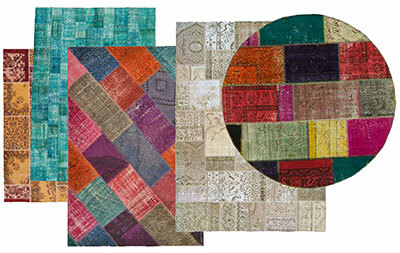 See our collection of overdyed patchwork rugs here. If you don’t find exactly what you’re looking for, we can also produce custom over-dyed patchwork rugs in any size and color combination. 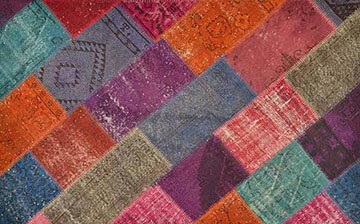 Or we can combine or resize any of our existing kilim patchwork rugs to suit your needs. If you’d like to know more about the over-dyeing process, please feel free to get in touch by emailing: sales1@kilim.com. 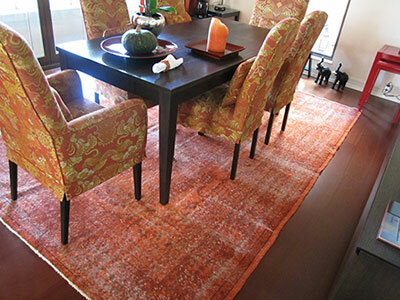 Otherwise, visit the Overdyed Rugs section of our website, where you can browse by color, size, and price. If you’d like to see our rugs in person, before you make a purchase, this can be arranged at either our Istanbul or New Jersey offices. 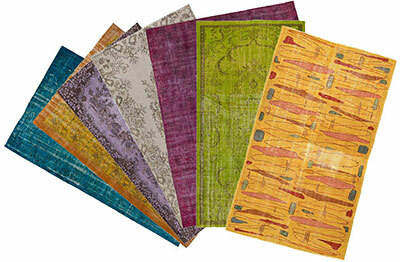 We can also send you patchwork samples. Please contact us for more information. We would like to introduce you to exquisite living environments all designed with kilim area rugs, contemporary area rugs, other authentic wool rugs and more... We hope that you'll find new refreshing ideas to apply for your home in these original interior design samples. 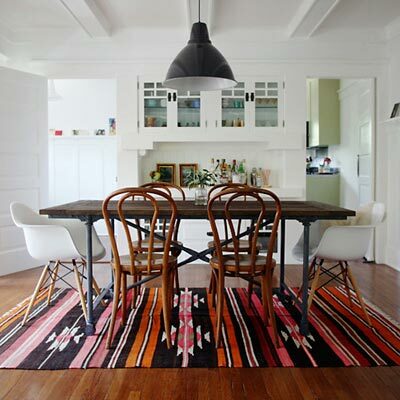 When you purchase a kilim or a hand-knotted pile rug, you are purchasing an item that has the power to completely change the character of a room – whether that means creating a central focus, bringing a space together, or the ‘wow factor’.